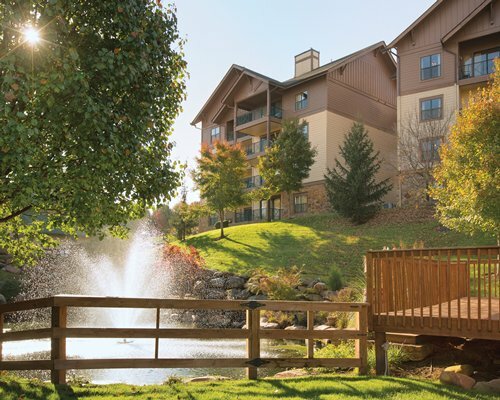 Town Village at Gatlinburg Town Square by Exploria Resorts is an RCI Gold Crown resort featuring Gatlinburg Town Village located in the heart of downtown Gatlinburg. You'll stay in attractive accommodations with homey comforts, including large condos with a fully-equipped kitchen in all the units. 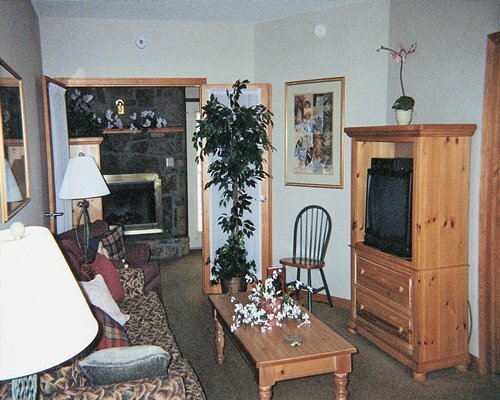 You'll enjoy pampering little extras, including a toasty mountain stone fireplace. 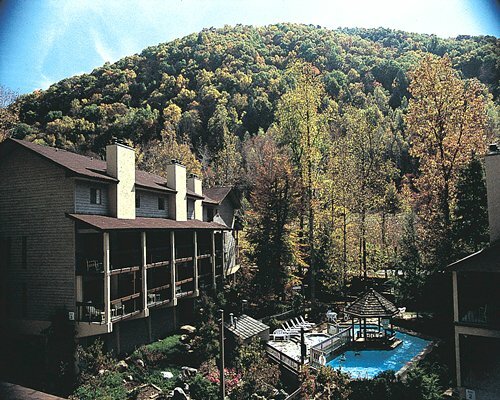 Some condos have a balcony with a marvelous a panorama of the Smokies. Best of all, our family of friendly, attentive staff will provide service that will make you feel really special, because you are! 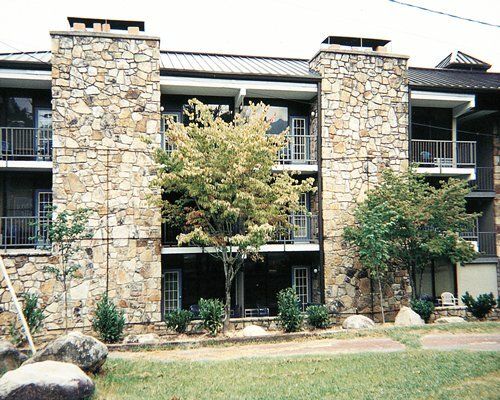 Your vacation home at Town Village at Gatlinburg Town Square by Exploria Resorts is air-conditioned with a television, VCR, telephone, and a full kitchen with microwave oven. 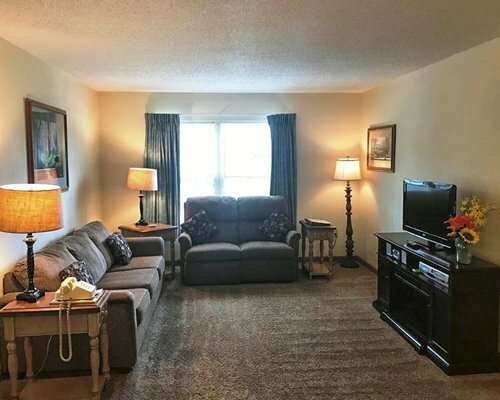 All units have 1 queen bed, 1 sleep sofa, 1 bathroom, a gas fireplace, a television with VCR, stereo, and telephone with voicemail. Unit are nicely appointed. Daily housekeeping is not available at this time. The closest commercial airport is in Knoxville, TN, approximately 45 miles away. From the airport, take Hwy 129 north 10 miles to Knoxville, then I-40 east to Hwy 66 (Exit 407). 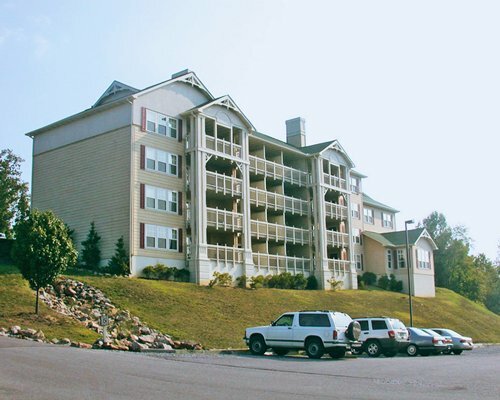 Follow Hwy 66 South to Sevierville, about 10 miles, and follow Hwy 441 to Gatlinburg. Go to traffic light #8, and turn left. The resort is located approximately 1/2 mile further on the left. From the South: Take I-75 to I-40 to exit 407. Follow instructions above. Credit card imprint required at check-in.